The larger the stage, the larger the fascination of a light show. Laserworld helps you to play the extremely large stages: With our high power systems it is possible to generate incredible effects over long projection distances. 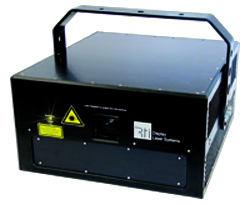 Especially the RTI NANO systems are frequently used to create projections over several kilometers. And this is not only possible in green, but also in many different colors. Laserworld not only offers solution in single color, like many other companies do. We also provide many different options of full color systems (whitelight, RGB to RYGCB) to generate beautiful colored rays in the sky! The systems are all graphics capable with professional scanning systems - so you not only can generate a single beam but whatever pattern you want to do! 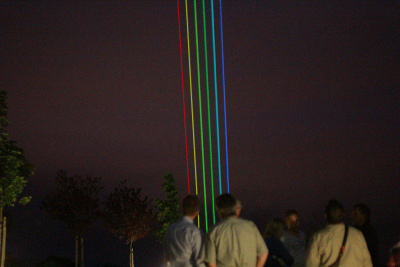 Make your own Laser Rainbow and impress not only a small crowd but the whole city! 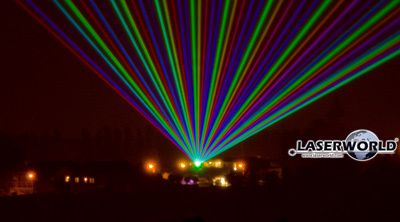 Laserworld already did some rainbow laser applications in the past and generated beautiful effects in the sky. As the Laserworld and RTI laser systems are so very compact, it is very easy to generate same or similar effects!